In a medium bowl, combine ricotta cheese, vanilla extract, and sweetener. Mix well. 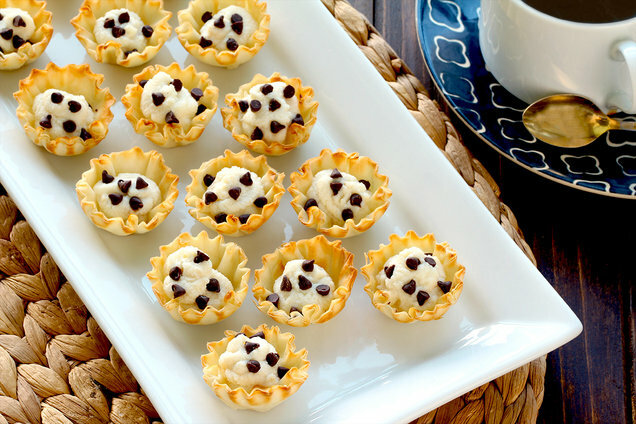 Just before serving, fill shells with ricotta mixture and top with chocolate chips. 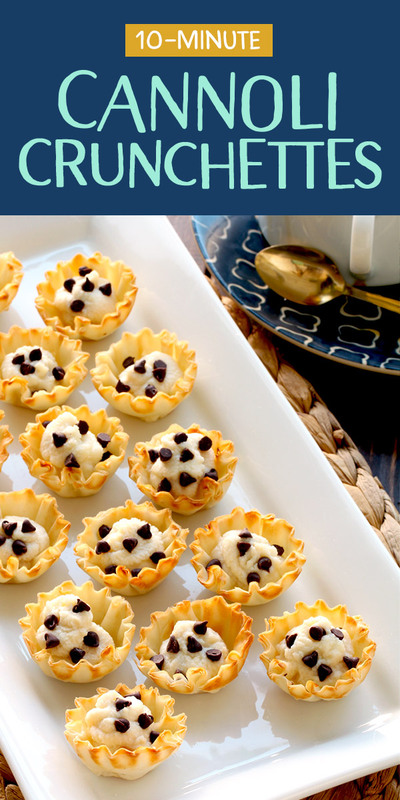 HG Tip: If you're not going to be eating/serving these immediately, store the baked fillo shells at room temperature in a sealed bag or container, and store the ricotta mixture in a sealed container in the fridge. Hungry for More 10-Minute Desserts? It's National Peanut Cluster Day, March 8th. This Snickers Cake Mug is topped with a cluster of peanuts and chocolate! Make sure your pals have fast & easy dessert recipes! Click "Send to a Friend" now.